When it comes to the business of original thinking, what is easily apparent is that the heavy lifting has already been mostly done. As the saying goes, there’s nothing new under the sun. In case you are wondering, the first quote is from Adam Smith in ‘The Wealth of Nations’, which was published in 1776. He was of course describing the tendency of people in business to want to always gain an advantage against the consumer by limiting choices i.e. raising prices in concert with one another. The second quote comes from the recent US Dept. of Justice investigation into e-book pricing which named Apple and all the major book publishers as defendants. What is remarkable from these examples is how spot on Adam Smith was even 236 years ago. Where else would such people meet for ‘merriment and diversion’ if not in a restaurant? And we know from Smith that the last thing on their minds was the quality of the steak they had ordered. Nigeria is not short of smart young men and women who will perhaps do differently to an extent if they get a chance in government. But what chance do they stand if they enter into government armed with only their ‘brilliance’? If the job of original thinking has already been done, then what stops young Nigerians from arming themselves with such thinking so that they don’t go into government surprised by all the different things that conspire to distract a government from its stated goals? In my very recent quest for original thinking ammunition, no one has had as much of an influence on me as Professor Thomas Sowell. Having gone to a Nigerian University to study economics for four years and ‘graduated’ with nothing useful learnt (some of our course texts were from the former Soviet Union), reading his magnum opus ‘Basic Economics’ spared my blushes. Today, I will read a blank piece of paper if it’s authored by Professor Sowell. Indeed, one of the things on my bucket list is to get to spend an hour with the now 81-year-old man before he leaves this world. What he does peerlessly is subject any new idea or claim to the full force of history. If you think an idea is ‘new’ and fantastic, let Prof. Sowell remind you some smart aleck, with disastrous results, once tried it out. I have also recently read the much-heralded ‘Why Nations Fail’ by Darron Acemoglu and James Robinson – the one a Professor of Economics at Massachusetts Institute of Technology and the other Professor of Government at Harvard. This is, in my humble opinion, absolutely compulsory reading for any young person who has even the slightest pretensions of ever wanting to go into government. Our problems are not unique and the path we have taken as a nation is an all too predictable one as Acemoglu and Robinson show with example after example. But even more importantly, they show the paths taken by today’s rich countries and how they were different from those taken by poor countries. The difference between ‘extractive’ political and economic institutions and ‘inclusive’ ones couldn’t be laid barer. To paraphrase another thinker I greatly respect and admire, Friedrich August von Hayek, what Nigeria needs from its young men and women today is not merely the ‘goodness’ of their hearts and intentions but ‘dealers in second-hand ideas’—people who appreciate original thinking when they see it and are thus able to bolt on these ideas to real life situations that confront them. The market ideas propounded by Adam Smith hold true in Onitsha market as well as Alaba International in Lagos. He’s not called the father of economics for nothing. If you find yourself in a position of authority lacking original ideas to hold fast to, do not despise knowledge and understanding; mediocrity got us this far as a nation and it sure won’t get us out of this pass. Finally it must be said that, going into government is absolutely not compulsory. The opportunities to add value in the wider system of voluntary exchange are almost endless as an alternative. 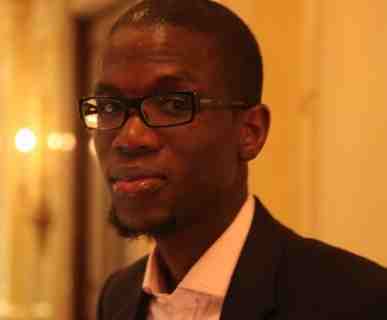 About the author: Feyi is a qualified accountant and currently works in Asset Management in London’s Financial Services industry. He also likes economic policy, photography and numbers. Editor’s note: Op-ed pieces and contributions are the opinions of the writers only and do not represent the opinions of Y!/YNaija. Thanks Zee, for summarising the entire article into two accurate pidgin sentences for pidgin graduates like me! Precise, concise and on point. Might I add, that yes you do not have to be in government to contribute your quota to the improvement of Nigeria….one has a civic duty to take active interest in politics and the proceas for selection and election of those who represent us. Then and only then can we triely contribute our quota. Aptly said, Feyi. Thanks for sharing the works of A. Smith as well as Why Nations Fail. With regards to your mention of Hayek, I will like to suggest (for readers of this piece), "The Road to Serfdom". Thanks for the relishing piece. Wetin the person dey yarn be say, dat kasala wen u tink say only u don see, anoda person don see am before and im don solve am. Make you go find wetin de person do to take am solve ya own kasala. No dey waste time say u dey waste the small time and money wen you get to take find how to solve ya own kasala… No be you first come this world, so nothing wey u dey see wen anoda person neva see. Find the one wey work, use am. Abi, Oga Feyi, na be wetin you dey yarn be dat? @Zoe GEJ has a Phd too…. I'm not sure what that has to do with comprehension. The writer of this piece should write more often, on anything under the sun. Dear Zoe, I don't have a PhD but I fully understand the article. It couldn't be any simpler. Try reading it again, with an open mind this time. Very good work FF! I'm convinced enough by this piece to act on what I've learnt. Thanks. i dont understand this article at all and i have a phd .try writing in simple sentences Feyi…it works!